Plastic Cavaletti There are 36 products. 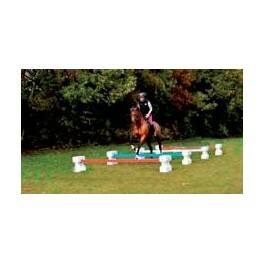 Ideal for dressage training, lunging, and small jumps. 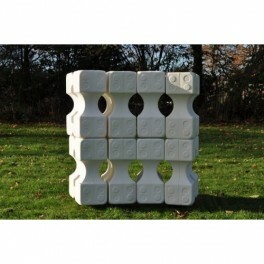 The Cavaletti Blocks ( 2 pairs) can be turned to get jump different heights Overall Size: 30cm x 30cm x 14cm Maximum height 55cm. This price is per pair. 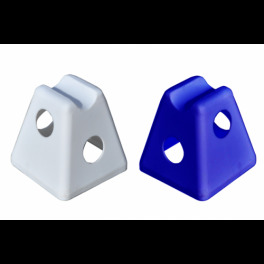 Set of 6 Cavaletti Pawns, 3 Plastic Poles 1.75m This is a set of 6 Cavaletti Pawn units (3 Pairs), in white or blue, and 3 plastic poles (1.75m). 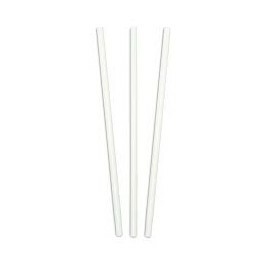 The poles are available in white, yellow, green, blue, red, purple and pink. 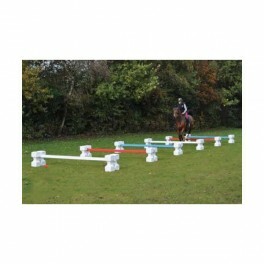 This Cavaletti set is suitable for use with both horses and ponies. 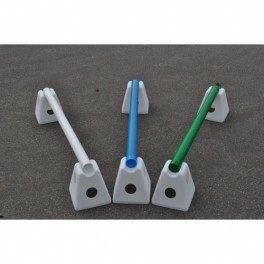 This is a set of 6 Cavaletti Pawn units (3 Pairs), in white or blue, and 3 plastic poles (3.00m). 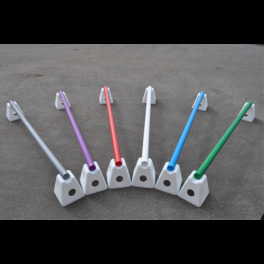 The poles are available in white, yellow, green, blue, red, brown, purple and pink. 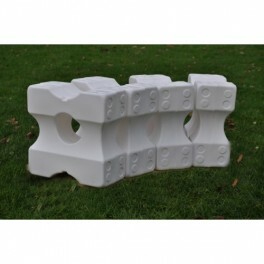 This Cavaletti set is suitable for use with both horses and ponies. 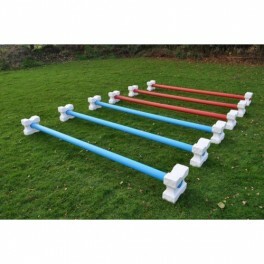 This is a set of 6 Cavaletti Pawn units (3 Pairs), in white or blue, and 3 wood filled poles (1.75m). 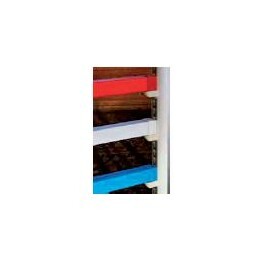 The poles are available in white, yellow, green, blue, red, brown, purple and pink. 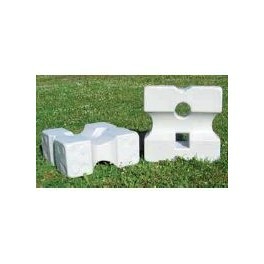 This Cavaletti set is suitable for use with both horses and ponies. 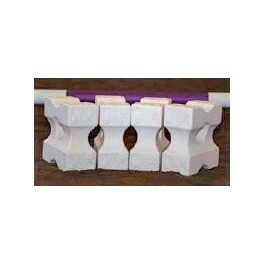 This is a set of 6 Cavaletti Pawn units (3 Pairs), in white or blue, and 3 wood filled poles (3.00m). 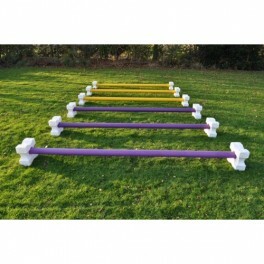 The poles are available in white, yellow, green, blue, red, brown, purple and pink. 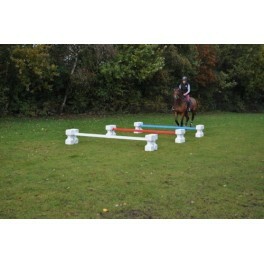 This Cavaletti set is suitable for use with both horses and ponies. 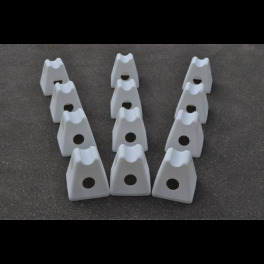 This is a set of 12 Cavaletti Pawn units (6 Pairs), in white or blue, and 6 plastic poles (1.75m). 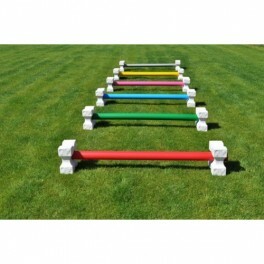 The poles are available in white, yellow, green, blue, red, brown, purple and pink. This Cavaletti set is suitable for use with both horses and ponies. 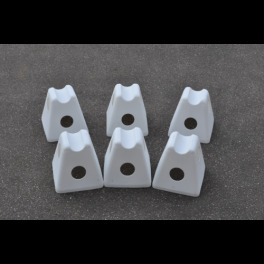 This is a set of 12 Cavaletti Pawn units (6 Pairs), in white or blue, and 6 plastic poles (3.00m). 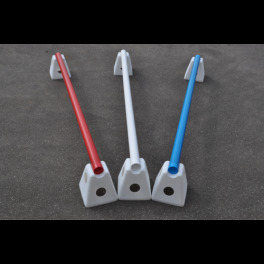 The poles are available in white, yellow, green, blue, red, brown, purple and pink. 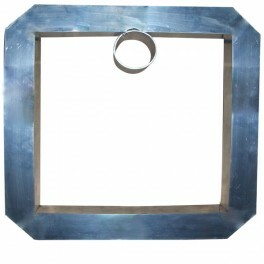 This Cavaletti set is suitable for use with both horses and ponies. 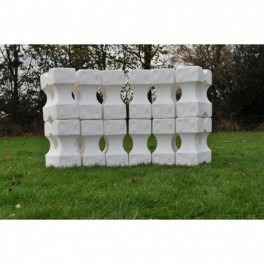 This is a set of 12 Cavaletti Pawn units (6 Pairs), in white or blue, and 6 wood filled poles (1.75m). 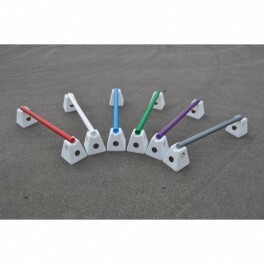 The poles are available in white, yellow, green, blue, red, brown, purple and pink. 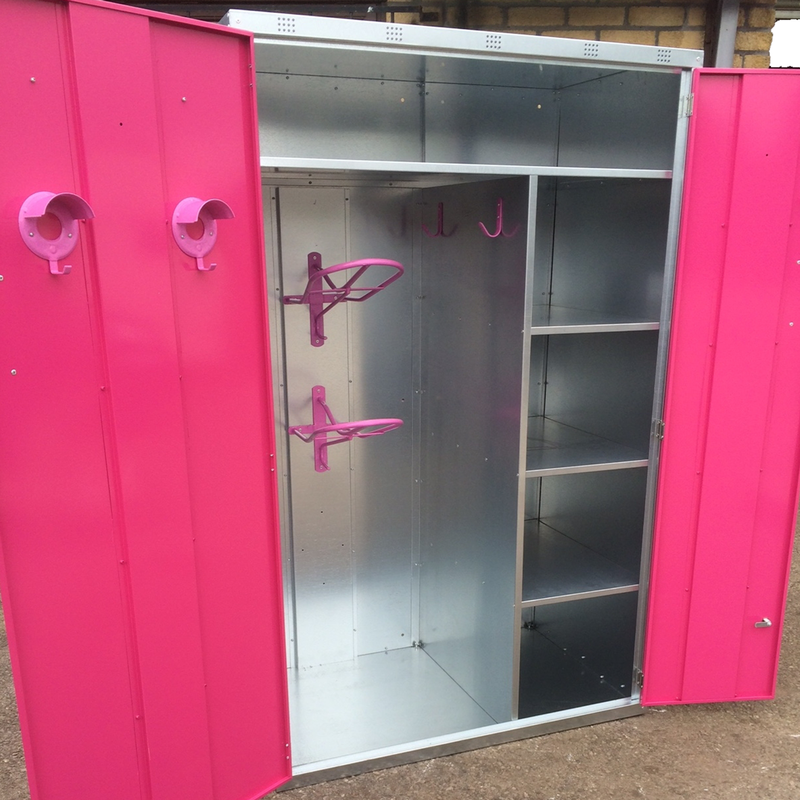 This Cavaletti set is suitable for use with both horses and ponies. 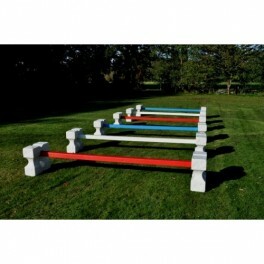 This is a set of 12 Cavaletti Pawn units (6 Pairs), in white or blue, and 6 wood filled poles (3.00m). 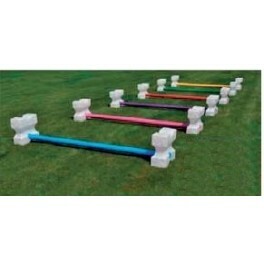 The poles are available in white, yellow, green, blue, red, brown, purple and pink. This Cavaletti set is suitable for use with both horses and ponies.